CLICK HERE to download printable 2010 Grand Sport Hero Card. for you to download. Click Here! 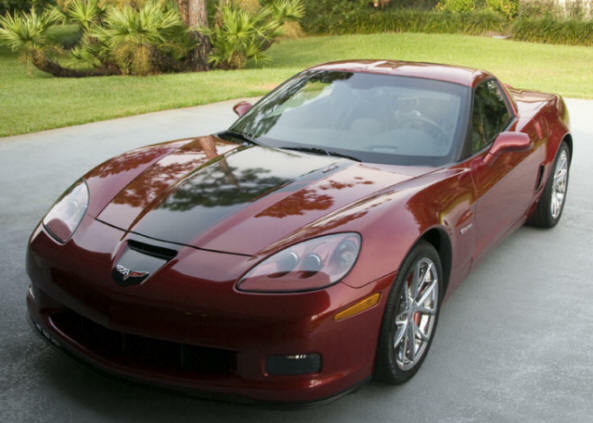 Click Here for 2010 ZR1 Approved Dealers who are authorized to sell ZR1s. Washington -- General Motors Co. said Monday it is recalling 22,000 Chevrolet Corvettes over concerns that the roof may fly off the vehicle -- after a 2006 recall didn't fix the problem. This is the second attempt by GM to fix the problem. GM said the problem was due to inadequate bonding strength, following reports of at least 11 roof separations. GM's 2006 fix was to insert adhesive foam -- and, if necessary, replacement of the roof. In March, an inquiry from Japan's Ministry of Land Infrastructure and Transport about a Corvette roof that was repaired after the 2006 recall prompted GM to look at its U.S. warranty claims data for Corvettes. As a result, GM found 108 claims of roof separation after the foam was added in the attempt to fix the problem. GM spokesman Alan Adler said there are no reports of injuries as a result. Now, GM will replace the roofs. The automaker will begin notifying owners in January and will reimburse motorists who have already gotten their roofs repaired or replaced. Separately, GM issued another recall Monday for 59,000 2010 Chevrolet Equinox and GMC Terrain vehicles over concerns that the software in the center instrument panel could cause the heating, air conditioning, defrost and radio controls as well as the panel illumination to stop working. Adler said the computer module will be replaced and the software "reflashed." NHTSA said drivers could risk accidents if they drove without working defrost systems, but Adler said there are no reports of injuries. Following yesterday/s announcement on the appointment of Jim Campbell to Chevrolet General Manager, The Registry has received the following organizational information. 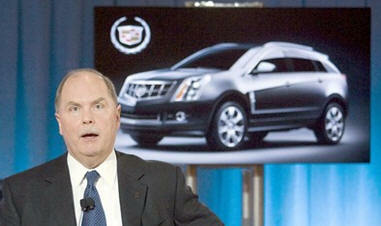 Brent Dewar, Vice President Chevrolet Global Brand, has elected to retire effective April 1, 2010. Brent will be on special assignment effective immediately, reporting to Mark Reuss. Brent will be assisting Mark in transitioning to his new role. James Campbell, currently General Manager Fleet and Commercial Operations, is appointed General Manager Chevrolet, replacing Brent effective immediately and will be reporting to Susan Docherty, Vice President Sales, Service and Marketing. Jim Bunnell will be responsible, in the interim, for Fleet and Commercial Operations until a replacement has been named to backfill Jim Campbell. Rick Scheidt, currently Executive Director Chevrolet Product Marketing for performance & midsize cars, will now have Product Marketing responsibility for full-size/midsize trucks & crossovers and Chevy Portfolio. John Schwegman, currently Director Chevrolet Product Marketing for full-size / midsize trucks and crossovers, will now have Product Marketing responsibility for performance and midsize cars. Kim Brink, currently General Director Chevrolet Advertising, Sales Promotions and Racing, will now have responsibility for Advertising and Sales Promotions for Chevrolet cars and crossovers. 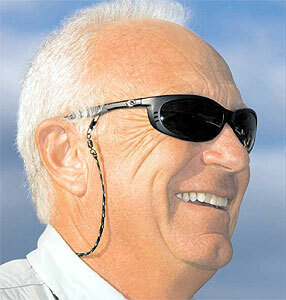 Friend of Corvette Jim Campbell named to Top Chevrolet Position! When the C5 CORVETTE can into being, Jim Campbell was the Brand Manager for Corvette. Jim quickly became a strong supporter and good friend of the NCM and the Official C5 Registry. 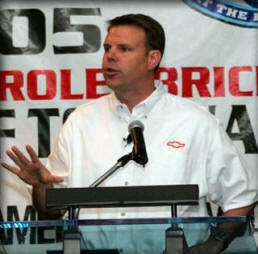 Today, at 5:02 PM MST, it was announced that Jim has been named General Manager of Chevrolet. The C5/C6 Registry congratulates Jim on his new and well deserved position! Welcome home Jim! Detroit - Susan Docherty, GM vice president Sales, Service and Marketing announced today that James M. Campbell, 45, has been named general manager - Chevrolet, effective immediately. 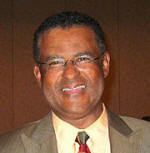 In his previous assignment, Campbell was responsible for GM's Fleet and Commercial Operations. "Jim has a strong track record of building relationships and partnerships with dealers and customers, and deep Chevrolet experience," Docherty said. "His energy, drive for results and willingness to take risks are great assets for leading the growing global Chevrolet brand. Before running GM's Fleet and Commercial Operations, Campbell held various positions in field sales, retail incentives, marketing and customer relationship management. He has played important roles in many product launches including the Chevrolet Impala, Monte Carlo, Colorado and Corvette. 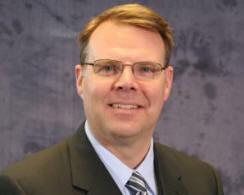 Campbell, who joined GM in 1988, replaces Brent Dewar, previously vice president global Chevrolet. Dewar has elected to retire effective April 1, 2010 to dedicate more time to his family and to pursue personal interests. Until then, Dewar will work closely with Campbell to ensure a smooth transition at Chevrolet and also will be on a special assignment supporting Mark Reuss, GM president North America, in his new role. "During his 31 years with GM, Brent made a difference in multiple assignments, including key roles in Brazil and Europe, launching the award-winning American Revolution campaign and applying his environmental passion to drive the very successful gas-friendly to gas-free marketing strategy,” Docherty said. “We respect his decision to retire early next year to spend more time with his family, and want to thank him for all his contributions. He will be missed." The abrupt resignation of General Motors Co. Chief Executive Fritz Henderson, who stepped down after just eight months in the top job, signals a push by the automaker's board to speed the pace of change at the struggling company. Shock from Tuesday's announcement quickly reverberated throughout the industry, which had interpreted improving financial news out of GM as a sign that the company had begun to turn around under Henderson's watch. The timing was doubly surprising considering the fact that Henderson had been slated to make the keynote speech opening the Los Angeles Auto Show today. 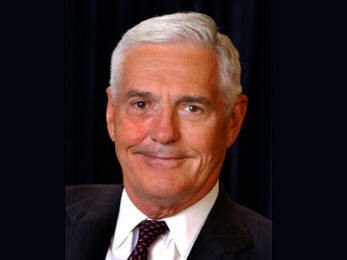 Instead, GM's vice chairman for marketing communications, Bob Lutz, will kick off a show that promises to be dominated by speculation over who will take the reins at the Detroit automaker. Until that person is found, the job will be handled by GM's chairman, Edward E. Whitacre Jr., who was named to the board in July after spending most of his career in telecommunications, most recently as head of AT&T Inc. The news sparked speculation that Henderson had clashed with Whitacre over the direction of the company and concerns over Henderson's role in the failure of several important deals in past weeks. The removal of Henderson, a 25-year veteran of GM, may also indicate that Whitacre intends to radically change the culture at the automaker by bringing in new blood with little institutional memory of the "old" General Motors. GM officials declined to elaborate on the board's decision to accept Henderson's resignation. But Whitacre, who had publicly supported Henderson until now, also expressed impatience with the speed of GM's change. Soon after his arrival in July, Whitacre began arguing that GM should not cede market share despite a shrinking brand portfolio and that it needed to return to profitability sooner and abandon routine practices such as giving large cash rebates on vehicles to juice sales. A wiry 68-year-old Texan nicknamed "Big Ed" whose hobby is killing rattlesnakes on his Texas ranch, Whitacre made his name turning a small regional telecommunications company, SBC, into the national giant that is AT&T. Upon taking the job, he admitted that he knew almost nothing about cars. .
"When you have people at that level, strong-willed people, there is a lot of potential for disagreement," said David Cole, chairman of the Center for Automotive Research. With Henderson gone, GM's board faces the formidable challenge of finding someone able, and willing, to take over the captain's chair. Les Stanford Chevrolet Cadillac Click Here! The 2010 Grand Sport has a look all its own – and performance that backs it up. Available in coupe with removable roof panel and convertible, it provides a new dimension of performance and efficiency. View and print the hero card and see how its numbers and looks set it apart from anything on the road today! CLICK HERE to download printable Hero Card..
Lowe's Fernandez Racing's Luis Diaz and Corvette Racing's Doug Fehan were the big winners Sunday and received highly sought after awards voted on by fans of the American Le Mans Series. Diaz, reigning LMP2 champion, received the Most Popular Driver Award while Fehan, Corvette Racing program manager, won his second straight From the Fans award. Both honors, based on input from Series fans worldwide through americanlemans.com, were among many special honors presented at the Series' annual awards banquet in Monterey, Calif.
Diaz's award went along nicely with the LMP2 driver championship trophy he picked up later in the night alongside teammate/team owner Adrian Fernandez. Fehan was singled out by fans as being the person who made the greatest contribution to the Series and sports car racing in the past year. "Thank you!!! Please send this thank you to the Corvette Nation that made this possible. It is a BIG win for the future of Corvette Racing!!! Corvette owners ROCK!!! " The last race of the year in the American Le Mans series that was held at Laguna Seca in California ended in a violent crash involving Jan Magnussen. The race that was held over four hours and finished in darkness became a hectic and intense affair. The race finished early morning Danish time. After 3 hours and 10 minutes Jan Magnussen in his Corvette was 14 seconds behind the leading GT Porsche driven by Jörg Bergmeister. Jan Magnussen drove his car to the edge and with 15 minutes left he had reeled in the Porsche and the two cars became entangled in a battle for the lead. Jan Magnussen was several times beside Bergmeister and with five minutes to go he passed him under braking into turn no. 1. But he overshot and Bergmeister could pass him again and retook the lead. With only two minutes left Magnussen passed him again but by doing that he had passed the white line for the pit and had to surrender the lead again. When the two cars went into the final lap of the race Magnussen tried again towards the hairpin. Bergmeister blocked the inside line and Magnussen tried the outside line instead. He was in the sand but kept the momentum going, but was now 5 or 6 carlengths behind Bergmeister. Magnussen quickly reeled him in and reached him in the final corner where Bergmeister brakes early - Jan hits him - but at the same time passes him for the lead. Jan is now leading, but Bergmeister who earlier has been beaten in the last corner of a race has the nose of his car by the rear of Jans car and won't give up. On the sprint to the finish Bergmeister on purpose, He later admits in an interview, drives into the side of Jan's car which drives him sideways directly impacting with a concrete wall. While Bergmeister enjoys the spoils of victory, Jan Magnussen who got second, was at the medical center having a checkup. "I was completely taken aback by that" an angry and beaten up Jan Magnussen claimed afterwards. "I have absolutely no idea of what Bergmeister did. He was far enough ahead after my last attempt to pass him that could have continued and have had the victory. But after that I don't know what he did. I was too far behind to make an attempt in the last corner, but then he parked the car and I couldn't avoid him. He went a little sideways at the corner and I get beside him and almost in the lead. I was sure that the victory was mine but then he decided he wouldn't lose in the last corner again and starts to drive into my side and continued until I was in the wall. We were close to the finish so I had the pedal to the metal and hit the wall hard. The car went up into the air and the impact hits me hard when the car landed. I'm very beaten up and so sore that it is hard to grasp. I have been to a couple of medical checks and they say that everything is ok."
Corvette Racing teammates Jan Magnussen and Johnny O'Connell finished as runners-up in the season-ending Monterey Sports Car Championships at Mazda Raceway Laguna Seca. The race ended as Magnussen spun across the track and hit the wall on the pit straight in the No. 3 Compuware Corvette C6.R. The Danish driver was examined and released from the trackside medical center after his encounter with the concrete barrier as the Corvette's safety systems and energy-absorbing structure performed as designed in the impact. Coming on the heals of an announcement that GM will soon be extending shifts in plants we are told that beginning September 24th, the Bowling Green assembly plant will be down for 3 weeks, then, return to work for 2 weeks, followed by a shut down for the entire month of November. What's in store for the Bowling Green facility? We'll keep you posted! We reported it on August 12th, (See Below) and now GM's VP of Global Design Ed Welburn told Inside Line that the design of the new C7 Corvette will go retro much like the new Camaro and a prominent design feature will be the return of the split rear window. The next generation Corvette is expected to be launched in 2012 as a 2013 model. The original split window appeared on the 1963 Corvette Coupe, but Chief Engineer Zora Arkus-Duntov hated the feature due to its limited visibility and in 1964 it was removed. Welburn addresses the visibility issue by saying "With the back-up cameras and blind-spot detection systems that we have these days, the visibility issue is much less of a problem." The Corvette Stingray Concept that appeared in the latest Transformers movie also has a split rear window. "That car is not the next Corvette." 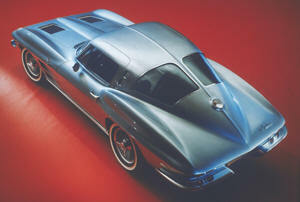 says Welburn, "But the split-window is something that I expect for the next Corvette." Welburn was the driving force behind the new reborn Camaro and is a big fan of the Corvette Stingray concept design as evidenced in this previously released Stingray Concept Introduction video. As stated earlier, Inside Line says the C7 Corvette will have the traditional front-engine, rear drive layout. http://www.chevrolet.com/vehicles/corvette-grand-sport/overview.do be sure and check it out! Parcell began his GM career in 1979 as a General Motors Institute (GMI) co-op student at the Fisher Body Flint, Michigan Plant. In 1983 he was transferred to the Chevrolet-Pontiac-GM of Canada Grand Rapids Plant, where he held a variety of supervisory positions in Manufacturing, Plant Engineering and Maintenance. 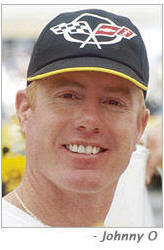 In 1994, Parcell transferred to the Mansfield, Ohio, Metal Center as Area Manager. In 1996, he was named Director of Manufacturing Engineering and in 1997 he was promoted to Assistant Plant Manager at Mansfield. In 2000, Parcell moved to the Metal Fabrication Division (MFD) headquarters in Troy, Michigan, when he was promoted to Operations Manager for Contiguous and Service Plants. The following year, he was named MFD Program Manager for Trucks, and in 2002 Parcell was promoted to Plant Manager of the Parma Metal Center. In 2004, Parcell was named Plant Manager of GM Wentzville Assembly Center in Missouri, and in January 2006 took on his current role of President, CAMI Automotive. CAMI Automotive Inc. is an independently incorporated joint venture between Suzuki Motor Corporation and General Motors of Canada Ltd., located in Ingersoll, Ontario, Canada. Parcell received a bachelor’s degree in mechanical engineering from GMI (now Kettering University) in 1984 and a master’s degree in business administration from the University of Phoenix in 1999. Current Plant Manager Paul Graham will resume the role of plant manager at Arlington Assembly, GM’s only full-size SUV plant, which produces the Chevrolet Suburban and Tahoe, GMC Yukon, Cadillac Escalade and hybrid versions of the Tahoe, Yukon and Escalade. Bob and Paul are working through the details and timing of the transition. Congratulations to both Paul and Bob in their assignments! Only two short years after his arrival at Bowling Green, and only a year after moving from assistant plant manager to plant manager, Paul Graham announced his reassignment. "Today as part of the restructuring of General Motors it was announced that I would become Plant Manager at Arlington Assembly on Oct. 1. Bob Parcell, currently the President of CAMI Automotive, will be Bowling Green's new Plant Manager. In my two years at Bowling Green Assembly I am grateful for the opportunity to be surrounded by such a talented and customer-focused team. During these unprecedented times we have seen many changes and overcome many challenges. Through all of this we have continued to work together as a team, protecting the quality and excellence of our products. We truly have a great product in the Corvette. I know, as do our customers, it is your hard work and dedication that makes the difference. We have a connection with our customer that we must continue to strengthen by listening to them and continuing to improve our product. My family and I have truly enjoyed being part of the Bowling Green and Corvette community. Thank you for your dedication to building great cars, commitment to our customers and for your friendship. I am confident the team at Bowling Green Assembly will continue to accomplish great things. 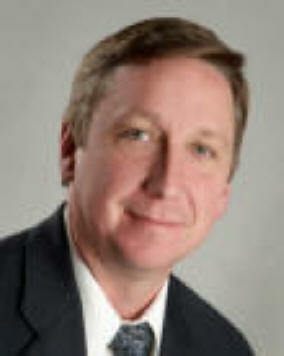 Paul Graham began his GM career in 1980 as a college student intern at GM Truck and Bus in Flint Michigan. In 1986, he became an associate manufacturing engineer at the plant, then moved on to become supervisor of production in 1987 at the GM Ft. Wayne assembly plant in Indiana. Graham held several positions at the facility before being promoted to senior manufacturing project engineer in GM’s Truck and Bus Division in Pontiac Michigan in 1989. 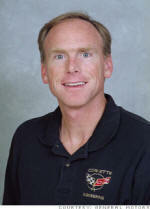 In 1992 Graham moved on to GM Baltimore assembly in Maryland to assume an assistant superintendent of maintenance position and over the years held positions of increasing responsibility at the plant before returning to GM Fort Wayne assembly to an area manager of body shop position in 1995. In 1997, Graham expatriated to Guanajuato Mexico to assume a platform program manager position with GM of Mexico. In 2000, he returned to the US and was appointed assistant plant manager of the GM Shreveport assembly plant in Louisiana. 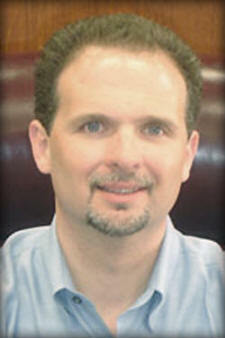 Graham was appointed assistant plant manager of the GM Oklahoma City facility in 2005. He was then appointed assistant plant manager of GM Bowling Green in 2006 and then plant manager upon Wil Cooksey’s retirement in 2008. Graham holds a bachelor’s degree in mechanical engineering from Kettering University and a master’s degree in project management from John Hopkins University. The C5-C6 Registry wishes Paul well and success in his new position. Thank you Paul for your time at Bowling Green, and your hand in making Corvette the best of the best. CORVETTE IS A WORLD CLASS AUTOMOBILE! The 2010 Dealer Brochure is HOT off the Dealer Network! 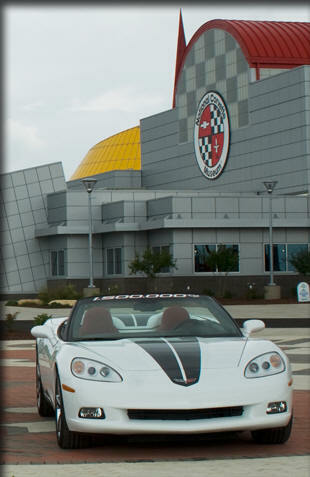 •Strategic Vision's 2009 Total Quality Awards Best Sports Car -2009 Corvette Coupe. Not only did Corvette perform better than any other car in its "Premium Coupe" class, its score of 938 was higher than any other class winner in the survey. Meet the 2010 Grand Sport on "You Tube" Click Here! C7 CORVETTE TO ARRIVE IN 2013 ! General Motors announced it will begin production of the C7 Corvette sports car in April of 2012 in advance of a scheduled launch as a 2013 model. The announcement was made as part of GM’s two-year product plan for its four core brands – Chevrolet, Buick, Cadillac and GMC. This news brings the C7 to market a full year earlier that expected. The next generation Corvette was originally scheduled for a 2014 launch. It seems the General Motors, emerging from bankruptcy, is anxious to capitalize on the interest that is always created by the arrival of a new generation Corvette, and in this case, on the 60th Anniversary of Corvette. The C7 Corvette is likely to have a smaller, lighter body using more lightweight materials such as carbon fiber, aluminum and magnesium. The new Corvette may even include a smaller, yet more efficient engine, but with its lighter body it should retain the necessary power-to-weight ratio demanded from Corvette owners. It's nearly impossible to imagine a Corvette without a V8, but some interesting options are on the table. A twin-turbo V6 is a very strong possibility," A twin-turbo version of the direct-injection 3.6-liter DOHC V6 that's currently in the Cadillac CTS could easily pump out 400 hp, just short of today's 430hp LS3 V8. While there very well could be a V6 as the base engine, a pushrod V8 will certainly be a part of the plan as it is part of the Corvette Tradition . In light of new fuel economy restrictions from the Obama administration, the displacement will certainly be down from today's 6.2-liter and 7.0-liter engine sizes, to between 5.0- and 5.7-liter. Turbocharging and variable valve timing are distinct possibilities to make those smaller V8s comparable with today's V8. A dual-clutch gearbox is also not out of the question either if GM wants to keep up with the Porsche 911 or even the Nissan GT-R. It's still too early to know exactly what the powertrain lineup will look like, but expect three levels of performance similar to today's, base model, Z06 and ZR1. Yes, the ZR1 could live on as a C7. To sum it up, all this also means that the Corvette design and engineering team will now have the resources and the corporate blessing to move full speed ahead on a new Corvette that could see changes to America's sports car that include a smaller, lighter body, greater use of advanced weight-saving materials like carbon fiber, aluminum and magnesium and perhaps a smaller engine but one that will still provide the power-to-weight ratio that Corvette owners have become accustomed to. At the NCM's C5-C6 Birthday Bash in April of this year, Corvette Chief Engineer Tadge Juechter reassured the Corvette owners present that the team is always thinking about the next generation Corvette and how to make it better. Now that the mid-engine layout has once again been tossed aside, Tadge's engineering team will have essentially just a couple of years to make these engineering decisions and test them in mules which we could see as early as 2011. Styling-wise, the car could look similar to that of the Corvette Stingray Concept that appeared at the Chicago Motor Show this year. However, in today's economy, a complete retooling of the Bowling Green plant would be very expensive ( one reason the mid-engine design was ruled out ). We believe the new C7 will be more of a transition and refinement of the C6 body style. It may be though, that the design team will see that owners would accept more of a radical departure from the looks of the C5 and C6. Photos Below are the "Transformer Stingray Concept"
When CORVETTE manufactures a special edition car, it immediately becomes a collectors item. In order to make sure your current and future purchases of these fine 2009 "Special Editions" is genuine, as we have in the past, the C5-C6 Registry has provided a list of the serial numbers. You can view this list in the members only section by Clicking Here. 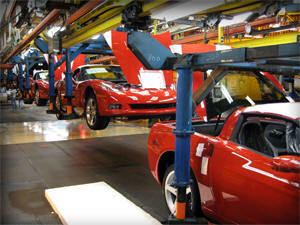 PRODUCTION OF 2010 CORVETTES OFFICIALLY BEGINS TODAY ! Members – OH HAPPY DAY! 2010 Corvette Production has Officially begun! All the pricing for the 2010 Corvette model year has been released. Click here for 2010 pricing. PAL (which stands for Personal Audio Link) is now available as a standalone option to add to your 2005-2009 navigation equipped Corvette. 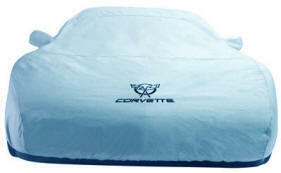 This newly released PAL option is P/N 17800593 that lists for $189 through Corvette Accessories. ( CLICK HERE for PAL Information ). This will allow your iPod, when plugged into C6 Corvettes equipped with navigation, to display your iPod music and user options on the navigation screen. For those of you ordering 2010 C6s from the factory, you can request this option already installed for $270 MSRP. Again, this applies only to navigation equipped C6s. Launch Control will be included with all Corvettes with manual transmissions. This is ideal for drag strip racing. On ZR1s, the 2010 model will have Performance Traction Management System which is designed primarily for road course racing. 2010 automatic models will allow you to hold the + button on the steering wheel while in the “M” mode and this will transition the transmission back to a standard automatic without changing the shifter position on the console. 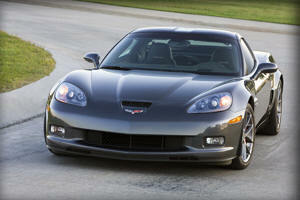 Gas Guzzler Tax on 2010 ZR1s has been reduced from $1700 in 2009 down to $1300 for all 2010 ZR1 models. Members, one of the perks of being a member ot the C5-C6 Registry is you get to take advantage of a yearly tradition with the Registry. Ever since the Registry began over ten years ago, we've been posting the "Yearly Production Totals, and Stats" as soon as we get them. The Production Totals and Stats for 2009 are now online for you viewing and study pleasure. 2009 PRODUCTION HAS ENDED ! Members – As Roy Orbison’s famous song said “It’s Over” as the Official word has come down that 2009 is the lowest production run of Corvettes since 1997. The final Production Number for all 2009 Corvette models is 16,956. June 21 - Happy Fathers Day to all our Member Fathers! Members – The FINAL numbers for the Limited Production Special Edition Corvettes for 2009 are in. If you were LUCKY enough to purchase one of these very rare GT1 Championship Editions or Competition Sport Corvettes (CSC) for 2009…CONGRATULATIONS! 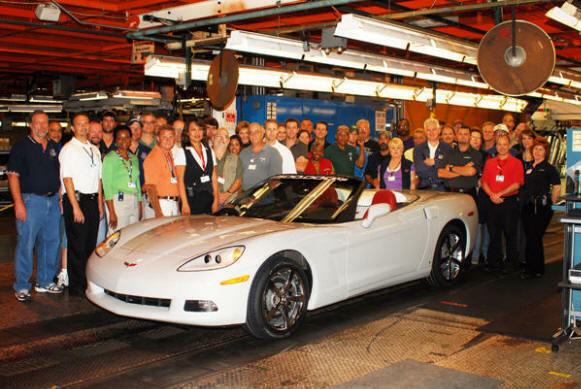 Final Production numbers for model year 2009 are coming in around 16,000 to 17,000 total Corvettes built. Not since the C5 was unveiled in 1997 in this modern era of Corvettes has production been so low. We believe that these Limited Edition GT1 and CSC will be some of the most sought after Corvette Collectibles of their era. All of these Limited Edition Corvettes represent Corvette Racing and its Successful Heritage since the Black and Silver C5-Rs took to the tracks in 1999! *GT1 VINs were originally designed to be from 1-300 in each color combination, but no more than 100 of each model/color would be built. *Sequential number of each CSC is determined by the box of number(s) that are placed in the CSC at the time of production to be given to the customer at time of purchase. These numbers are for the CSC owner to place on their doors for easy identification at track events. 56 Years after the first Corvette number 15000000 is built! When the C5-C6 Registry announced the plans to build this special car on May 4, ( see Hot News below), we said," What would REALLY SET THIS CAR APART, would be to have Dave McClellan, Dave Hill, Tom Wallace, and Tadge Juechter, the Corvette Chief Engineers who are still living, be at the unveiling of this special Corvette to sign the hood, or some special location on the car." We don't know if that will happen, but this special car will be housed at the NCM, what better place for this autograph session to to take place! 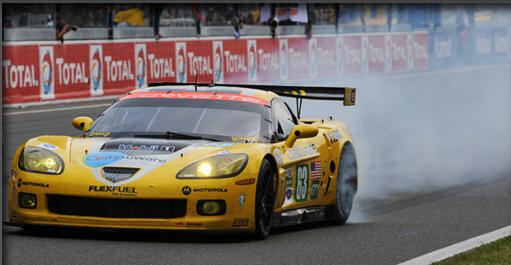 Corvette Racing ends on the GT1 era with a victory in the 24 Hours of Le Mans. After a great effort by Corvette Racing, and the crew of the #63 Car, just a little before 7:AM EST this morning, Johnny O'Connell, Jan Magnussen and Antonio Garcia gave Corvette Racing a sixth GT1 victory in the world's largest sports car race. The winning Corvette completed 342 laps, racing to a six-lap margin of victory over second place #73 Luc Alphand Aventures Corvette C6.R of Yann Clairay, Julien Jousse and Xavier Maassen. The Number 63 Corvette driven by Johnny O'Connell crossed the finish line to win the 2009 24 Hours of Le Mans and "Johnny O" became the first American to win Le Mans four times. "When you look at the Americans who have won here multiple times, they're all important figures in motorsports history," Johnny said. "To achieve my fourth win with Corvette Racing, driving a sports car that's an American icon, it's hard to put that into words. There is nothing more difficult and more rewarding than winning here, and sharing it with two awesome drivers like Jan and Antonio." Sadly, the #64 Compuware Corvette C6.R of Oliver Gavin, Olivier Beretta, and Marcel Fassler retired from the lead in the 22nd hour with a gearbox problem. 22 hours into the race, Fassler radioed the crew that he was experiencing shifting problems. The gearbox problem intensified, and the car was stranded near the pit lane entrance when it lost drive to the rear wheels. In contrast, the No. 63 Corvette had a trouble-free run throughout the grueling 24-hour race, making 32 pit stops and never going into the garage for repairs. O'Connell and Garcia drove the closing stints in the race when Magnussen became ill.
"Four Le Mans wins feels absolutely great. My role in this one was for only half the race. I really have to thank Johnny and Antonio for working so hard during the last half of the race. Also a special mention to my crew chief Dan Binks. 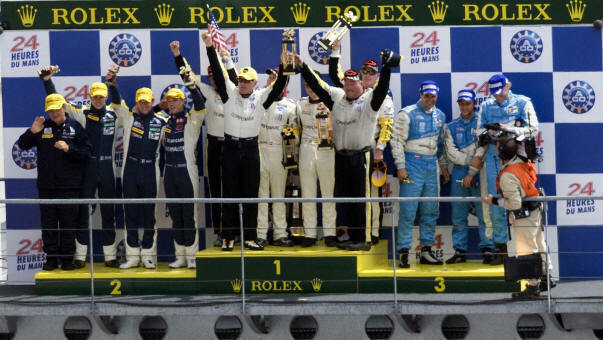 Standing on the victory podium at Le Mans is just amazing, and I hope that we can carry on" said Jan Magnussen. 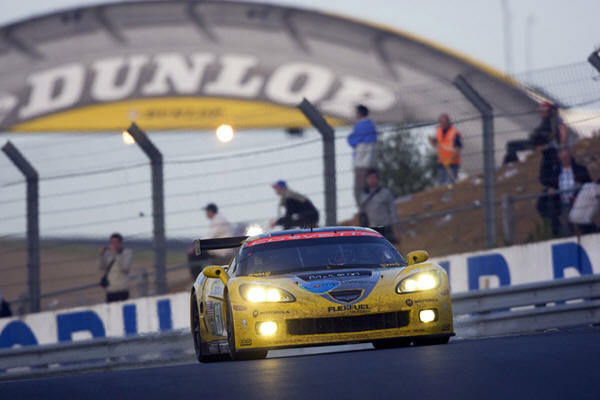 This race marked the end of GT1 racing for Corvette Racing that began in 1999. Since then, Corvette Racing has become America's premier production sports car team, winning 77 races and eight consecutive American Le Mans Series championships. Corvette Racing will make the move to the GT2 category in its next race, the Acura Sports Car Challenge at the Mid-Ohio Sports Car Course in Lexington, Ohio, on August 6-8. The two-hour, 45-minute race is scheduled to start at 2:10 p.m. ET on Saturday, August 8. The race will be televised same-day tape-delayed on NBC at 4 p.m. EST. (O’Connell/Magnussen/Garcia) and #73 Luc Alphand Aventures private Corvette (Jousse/Maassen/Clairay) and in 3rd place finished the #66 Jetalliance Racing Aston Martin DBR9 driven by Lichtner-Hoyer, Muller and Gruber, but half of the depleted LM GT1 field retired (#68 JLOC Lamborghini Murcielago, #70 Alphand Corvette C6.R and #64 works Corvette C6.R). The #64 Corvette of Beretta/Gavin/Fassler was retired in the 22nd hour due to a gearbox failure. The C5-C6 Registry congratulates Johnny O and Corvette Racing on this remarkable achievement! Going off the current year pricing, that's $6,205 more than the base Coupe and $5,360 for the base Convertible. Taking into account that we are expecting to see a pricing increase on the base coupe and convertibles, as well as the fact that the Grand Sport takes the place of the Z51 option which costs $1,695 and you are essentially looking at $3,665-4510 upgrade for the new wide-body design, complete with Z06 brakes, tuned suspension and a better 0-60 mph performance of 4.0 vs 4.2. CLICK HERE FOR Grand Sport Photos and Specs. Bob Lutz Say's "We Will Continue to Do Corvettes"
In an interview with Fox News today, Mr. Lutz stated the "New GM" will continue to build both Camaro and Corvette.
" No listen the only you got to listen to me. -- the automotive task force which is in charge of this thing and with whom I've talked at great length. They want us to meet the law -- the 35 35 mile per gallon mileage mandates and we know we can do that right and we got a very reasonable deal on that partially because of the good dialogue between us and the government. And they want us to meet safety regulations on crash and roof crush in rollover and -- that's open will do that little. So as long as we meet the nation's laws which are applicable to everybody. We will continue and abide by the way we're encouraged by the government. To continue building a large array of vehicles some of -- highly fuel official." " I'm glad they only wanted a high level if they want only the Highlander movies they want -- small cars you know what I'm saying. Digital lived in this do you have that puts but it come back and -- now we're that's not settlement. -- But when you can't have one law that applies to General Motors and another law that applies to everybody else and." " We have to meet the 35 miles per gallon. With a wide array of vehicles we're going to continue doing Camaro, we're going to continue doing Corvette, we will do full size sport utility by the way, ours is the most fuel efficient - <snip> CLICK HERE to watch full Fox News video. General Motors Corporation today reported that it has received U.S. Bankruptcy Court approval to continue honoring all vehicle warranty programs and dealer incentive plans. This and other Court orders today enable GM to assure consumers that warranty coverage on GM vehicles will continue without interruption, whether they already own a GM vehicle or intend to buy a new one; that genuine GM parts will be supplied; and that GM-trained Goodwrench specialists will perform all services. The Court also granted approval for GM to access a new approximately $33.3 billion debtor-in-possession (DIP) financing facility from the U.S. Treasury and the Canadian and Ontario governments. The court authorized GM to use up to $15 billion of the facility on an interim basis pending a final order approving the full facility. This credit facility will be used, among other things, for the company’s normal liquidity requirements, including employee wages, healthcare benefits, supplier payments, and other operating expenses. GM intends to make payment for goods received and services provided to it on or after the filing date in the normal course of business and in accordance with terms of existing supplier agreements. Pay all non-U.S. suppliers to GM Corporation and its U.S. subsidiaries. Importantly, the Court ordered all banks to honor employee paychecks, including those dated prior to the company’s June 1, 2009 court filing. The Registry has just learned former Corvette Plant Manager, and long time friend of the C5-C6 Registry, Wil Cooksey was seriously injured in a motorcycle accident a few days ago. He apparently underwent seven hours of surgery, and he is going to be alright. "Wil was riding with Steve Grilli, Jeff Webb and some of the guys who were here for the Corvette Forum. His steering locked up, so he had to ditch. His bike was destroyed. I am not too unhappy about that. I was always afraid, but I had ridden with him before. Now, he says that he will never get back on a bike again. I sure hope not." A special "Wil Cooksey" edition 427 Z06 Corvette was named for a very deserving man last April after his retirement from GM in May of 2008. Wil owns the first off the line. The plant made 504 more of the special Corvettes. Only 427 of them were offered in the U.S. and Canada, with 78 more exported outside North America. The limited edition sports car is an homage to the Stingray Corvette models of the mid-1960s that had 427 engines, according to General Motors. Each car carries a hood badge that is numbered and signed by Cooksey. Current plant manager Paul Graham said the limited edition Corvette is a tribute to Cooksey. Wil's wife, Liz stated, "he is home from the hospital". "He will be down and out for quite a little spell. He did not dislocate any of his replacements but he snapped his thigh and has numerous bruises and bangs. He was wearing a helmet, and thus survived. He was lucky and blessed. Keep him in your prayers." We will Liz, and we all hope for his speedy recovery. In an exclusive interview with AutoWeek, Henderson says that not only is the Corvette's current platform undergoing continual development, but the future seventh-generation car, dubbed C7, is also on track. He would not specify when the C7 Vette would hit showrooms. Henderson was bullish on Corvette. Not only is he a Corvette enthusiast who drives one, he knows that it contributes to the company's bottom line. According to GM's top man, "Corvette pays its rent." The current sixth-generation C6 Corvette has been in production since 2005. The C6 platform used major components from the C5 fifth-generation Corvette, but with substantial upgrades. 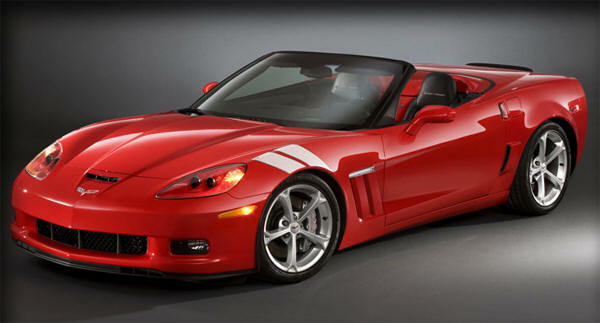 AutoWeek reported in October that work on the C7 Vette had been put on an indefinite hold as GM scrambled to cut costs. The talk then was that the C6 platform could be as old as 12 years before the C7 was ready to go. 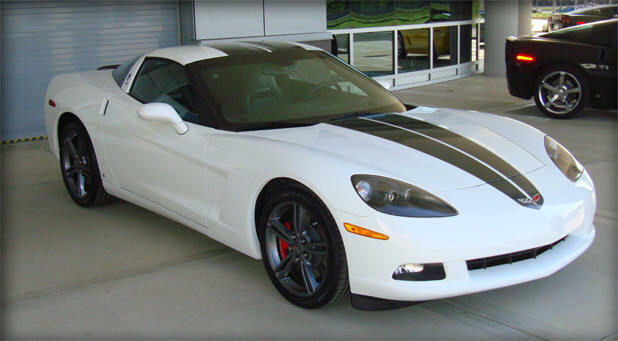 May 1, 2009 was the last day you could order a 2009 Corvette. Starting today, all new orders will be 2010 models. Just as he promised, in Bowling Green, Corvette’s own Marketing Product Manager, Harlan Charles sent out the 2010 Order Guide to dealers today. You can download your copy by Clicking Here! 1,500,000 CORVETTE IS ON THE WAY ! The Registry has just learned that Corvette number 1,500,000 will be built at the end of May as a 2009 model. The car will be a White Convertible, with a 023 Red/Black interior, and a Black top. Options include the 3LT package, Automatic Transmission, Performance Axle, F55 Magnetic Selective Ride Control, NPP Performance Exhaust, Navigation, and Chrome Wheels. Corvette number 1 (1953) and Corvette number 1,000,000 (Built July 2, 1992) were both white with a red interior so... follows this one should be the same. What would REALLY SET THIS CAR APART, would be to have Dave McClellan, Dave Hill, Tom Wallace, and Tadge Juechter, the Corvette Chief Engineers who are still living, be at the unveiling of this special Corvette to sign the hood, or some special location on the car. All the members of the C5/C6 Registry would like to congratulate Chevrolet, Corvette, the Bowling Green plant, and all the folks involved with this remarkable achievement !